Home is perched on a private knoll with Spectacular views from every room! Spacious living areas include a formal Living Room, Dining Room, and family room off the kitchen. There are Several decks to enjoy outdoor entertaining. The walk out basement has a second living room, one bedroom and a wetbar. Oversized 3 car garage plus a storage shed for ample storage. 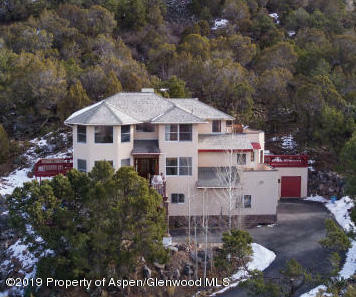 Property is naturally landscaped forest of pinion & pines, and backs to DOW. Centrally located, Close to the RFTA bus, Basalt, & Shopping at Willits.